Bill Bateman - Call on Dolly! 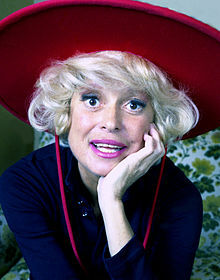 Bill has the distinction of doing several companies of Dolly, MOST of them WITH Carol Channing including her last 1995 tour and Broadway revival. It all started when he went to an audition in 1977. He had no connection with the show or anyone it. He just went to an open call. He had done Panama Hattie the summer before with another Dolly, Ann Miller, a dinner theater production. That production included Lee Roy Reams as Cornelius, Florence Lacy as Irene Molloy, Alix Korey as Minnie Fay, and Robert Lydiard as Barnaby Tucker. He had auditioned for My Fair Lady and was cast. The day he was supposed to go to the first rehearsal, he gets a call to not show up. That production had been cancelled. He was out of a job! The next show that was casting was Dolly! He auditioned not knowing ANYONE connected with the show and was cast. He did the tour that led to the 1978 Broadway revival. 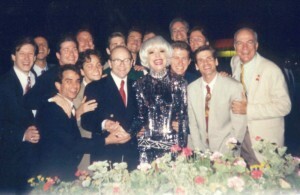 Bill tells me that because he was young and fairly green, he learned SO MUCH on Dolly! 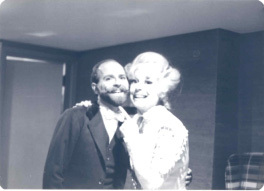 Four weeks into working on the show, Bill Bateman and Carol Channing connected. He got along also with Charles Lowe. There was a small group that were part of an “inner circle” that were taken to a lot of places and a lot of doors were open that would not be opened otherwise. Watching Carol on that tour and any subsequent tour right through the 1995 tour, Bill says he learned so much. He has done two national tours to Broadway, a long summer stock tour; about five or six tours all in all. In every one of those tours, they would close on Sunday and travel on Monday, (Carol normally travelled on Sunday night after finishing the show). By the time, the cast showed up at the theater for a tech run through, Carol had already done morning talk shows, weather girl spots, and other events to promote the show everywhere. People used to make fun of her. They would say that she would show up at the opening of an envelope. If it helped to sell tickets, she would! The houses were always packed. Can you imagine what she and Charles could have done with social media? She would get up early, do press all day and do the shows at night. Bill doesn’t know where she got her stamina. Charles would get up at six AM and read God only knows how many newspapers, clipping out things she should talk about in her interviews. He was a businessman and Carol and Hello, Dolly! was the business. He was a television producer and came from that background. It was always about her career. In addition to Carol, Bill has also done Dolly with Jo Ann Worley, Madeline Kahn, Dorothy Collins at The Westchester Dinner Theater. He also saw Pearl Bailey in the 1975 Broadway Revival. Jo Anne Worley’s production was directed by Lee Roy Reams at Houston’s Theater Under The Stars. 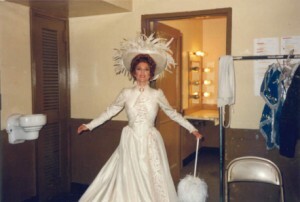 Jo Ann was Carol’s original standby in Dolly! She left after six months because she would never go on…and she didn’t. Carol’s philosophy has always been that someone may have spent their last ten dollars. You just can’t let them down. Just as people went to see Hello, Dolly to see Carol, the same held true for Jo Anne…and that’s what she gave them, chicken jokes and the trill in her voice from time to time. Dorothy Collins was extraordinarily warm and playful and fun. For a dinner theater, it was packed all the time. People remembered her from Your Hit Parade and Follies. With Madeline Kahn, it was a summer stock tour. She was tiny and because of all her film and television work, you would think that she might be hard to read. Bill would go to Madeline’s house to help her study her script. After the first performance, she went to Bill and said, “I’m not getting a certain laugh.” He told her they were loving her but it was a 12,000 seat house and she needed to play it a bit bigger. He told her that she couldn’t be “too big”. The next night, she was a little bigger. She got bigger and better every single night. She was funny, kind, and terrific to work with. Bill’s memories of the Pearl Bailey 1977 revival are that it was an inter-racial company. Some elements were kept from her original run. The ‘Sunday Clothes’ costumes, for example, were these neo-neon bright colors. The sets seemed a little less substantial that what Carol’s company had. Pearl Bailey also did the Dolly “number” twice. Gower’s original choreography. Without going into names, Carol did not approve of one of the choices. Another that was mentioned had not done the original choreography. When Bill’s name was brought up, HE was the one Carol wanted. He was looking forward to working with Carol again. With a star such as Carol, there is always the hope of it arriving on Broadway. Bill sort of expected it to and he would have been surprised if it didn’t. They had put together a great cast. I asked Bill what was different between the 1977 revival verses the 1995 revival. This is speculation on his part. When they did it in 1977, Carol was fifty six. She could have been doing just about anything. closed on Broadway in 1970. He doesn’t feel she was that thrilled to be taking a company of Hello, Dolly! out on the road again. Regarding the tour in 1994, she was so happy to be working. She was happier on this tour than in 1977. She worked just as hard on both of them. The first tour, the costumes and sets were not as impressive as they were in 1995. 1n 1995, EVERYTHING was new. They travelled around the country before opening on Broadway October 19th, 1995. The response was astounding. Bill says he was surprised it closed when it did. If you look at the Broadway grosses for January 1996, Dolly was doing great business. 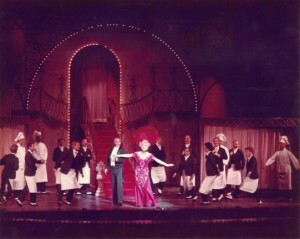 (Check out: http://www.playbillvault.com/Grosses/Show/5017/Hello-Dolly). It was produced by Pace Theatricals, road producers. On the road, money is coming in weekly. 1995 Revival, Opening Night in Denver. On Broadway, things slow down depending on the months. It ebbs and flows. It came as a surprise, at the time. At the time of Dolly’s closing, they had the highest percentages on Broadway. They were at the Lunt-Fontaine, directly across the street from the Marriott. When the blizzard hit, people staying there could just walk right across the street to see the show. They were still playing to capacity crowds when they closed. The general manager was still making money but the decision to close was made by Pace Theatricals. Bill believes it could have played through February and at least into March. Who knows? 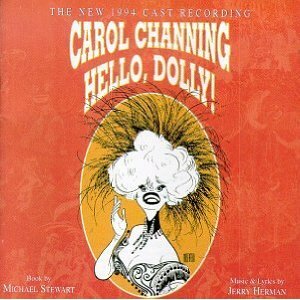 When you see Dori Berenstein’s documentary on Carol Channing, you get a sense of that company. Bill says it was a blessing and a curse that it closed when it did. One of the greatest aspects of this production was getting to do it again on this scale. There were sixteen guys in the 1977 company that had worked together in any productions of Dolly over the years with Carol and Betty Grable and various other productions. They all pretty much knew each other. It was an older cast, as well. 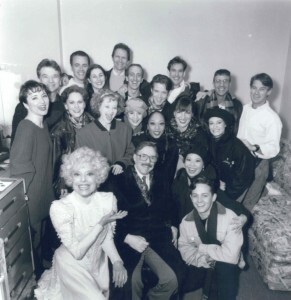 For many in the 1995 company, they had never done Dolly and many were making their Broadway debut. There was huge anticipation and excitement and, therefore, there was a different sensibility. Being in the show AND being the associate choreographer, Bill had a lot going on. Every intermission of every show were spent in Carol’s dressing room discussing issues with the show. He had no down time. He says thank God, he appeared in the same costume at the top of Act Two that he ended act one in. There was always something. Something that had to be address. Something, that was wrong, something that needed to be checked. Nine out of ten times, he didn’t even have to check. He would just go and give the note. She was almost always right. She knew when a light was off or when a chorus member was missing their mark. 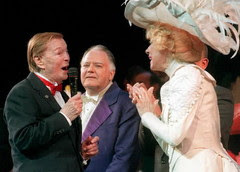 1995 Revival: Lee Roy Reams, Carol, Jerry Herman, Bill, Gypsy Run-thru. “Would you go and talk with her?” Bill told her that if she wanted to go to “fourteen”, that was fine. She would still have her spotlight. However, the other lights would be hitting “eight”. She was never off “eight” again. Once during the “floradora” section of the title song, he was showing her a particular step which had ALWAYS been there. It was all about refreshing her. It’s a point where she would always lift up her dress with a slight kick. She told him she had never done that. He told her that she had always done it that way. After arguing a few seconds, he told her if she didn’t want to do it, she didn’t have to. He also told her that the only reason he knew the show was from watching her. Then she went up to run it with the boys. When she got to that point, she instinctively did it just out of muscle memory! She also gave a knowing nod and wink to Bill. Afterward, he told her her would never lie to her. He would always tell the truth whether she liked it or not. That’s why they are friends. 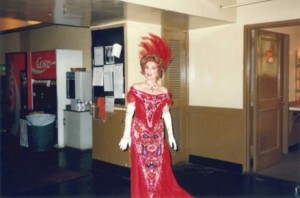 The first preview, Carol had a “moment” in her dressing room. She was upset and a little emotional wondering whether or not audiences wanted to see her and this show again. It could have stemmed from her being tired from an exhausting tech rehearsal. They had had three weeks of rehearsals and a week of tech. She was tired and seventy four! Whatever the rationale, she was nervous. First preview on her first entrance, she got a standing ovation. It went on and on. When Carol said, “Oh, you’re standing there?” The entire audience erupted into applause. It was a lovefest I have never experience anywhere else. There were moments in the show where she would stretch her arms out, especially on Before The Parade Passes By, no matter where you were sitting, it felt like it was directed just to you. It’s a great quality that a lot of people don’t have. She is the LAST star who did radio, recordings, television, film, and stage! During the 1995 revival, during the money speech, a drunk man starts coming down the aisle in a suit and tie ranting. He was yelling at her, “Who do you think you are? You don’t know ANYTHING about money. What have you done for anybody?” And on and on. It seemed like forever, but they got him out of the theater. Her next line began with, “Anyhow, that’s the opinion of the second Mrs. Vandergelder.” All she got out was the first word, “Anyhow?” and the entire theater fell apart. Afterward, Bill discussed this with Carol. He said, “You just smiled at him and never broke character.” She looked at Bill and said, “I learned a long time ago, you can’t fight with an audience, You’re outnumbered.” Bill says that has come into play many times. Currently, he is appearing in The Fantasticks. Yesterday’s matinee was mostly school kids. There is a lot of them talking back to the actors on stage. I asked him who he thinks would make a great Dolly. He says he has had conversations about it. He doesn’t know. There are people he would have loved to have seen. Ann Miller. She did a tap number in the show. Check out my chapter on Ann Miller to see where. He would have loved to have seen Betty Grable because he has heard that she was so sweet in the role. Martha Raye, Phyllis Diller. 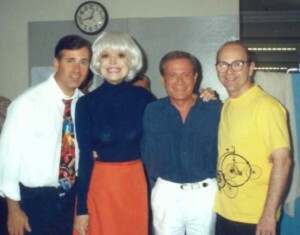 Once when he was on tour with one of the Dolly companies, Phyllis was performing somewhere and the company went to see her after their own show. She knew they were there. While she was on stage, an entire party was being planned in her suite. At the end of the show, they were all invited up. She couldn’t have been nicer. Wonderful woman! 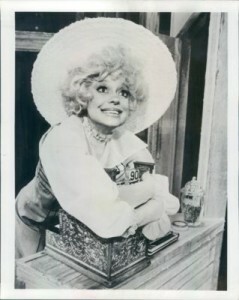 She’s the only other surviving Dolly from Broadway! God, would I LOVE to get that interview. What strengths did Bill bring to the show? He says he is a bit of a Nazi as a dance captain. Carol always trusted Bill. If he said something or asked for something, she would go with it. There were a few things that were tweaked during the rehearsal period. Once the show opened, it pretty much froze. Jerry Herman also over saw this production. Bill’s only gauge as far as comparisons are concerned is that this was very close to the 1977 revival. The costumes were slightly different. 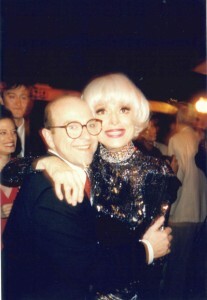 Jonathan Bixby designed the costumes for the 1995 revival. He died in 2001 from complications from colon cancer. The look was a variation on Freddy Wittop’s original designs, especially Sunday Clothes, Before The Parade Passes By, and Dolly’s Harmonia Gardens gown. The colors weren’t so “day glow”. In the original, the Sunday Clothes hats were attached to the wigs because of their cartoonish size. David Merrick was not attached to either of these revivals. He did go to Providence, Rhode Island for the 1994 tour. He wasn’t doing too great. He had had a stroke. He offered two million dollars to buy the show and bring it to Broadway. He was fierce but this didn’t happen. There are two special memories that Bill has from the 1995 revival that stand out among others. One took place on stage and one took place outside the theater. Both are mentioned in Berenstein’s documentary . They get to the first rehearsal. For the Harmonia Gardens stairs scene they had a doorframe and a shower curtain. She was in these funky rehearsal shoes and a long skirt. She wasn’t even wearing a wig at this point. An older woman climbed the stairs to enter from behind the shower curtain. And the music started. Bill says he had no qualms about this. 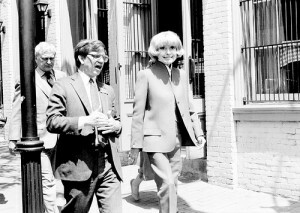 He knew who Carol Channing was and her iconic status. She extended her foot and appeared and forty years washed away . 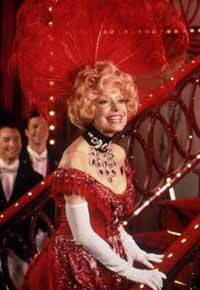 By the time she got to the bottom of the stairs, to start the number, she was Carol Channing, the star! That never dissipated throughout the entire tour and subsequent revival. She is an amazing “show business animal”. George Burns , Milton Berle, and Sammy Davis Jr and those stars of that ilk were the same way. The other favorite memory was standing in the wings every night and watching Carol do the Ephraim soliloquy into Parade. It got him every time. The one lesson that Bill has learned from his experience with Dolly is that you never “lay back”. You always give a hundred and fifty percent. No one ever got less than that at a Carol Channing performance. She gave it day in and day out. He learned that with the first revival. This revival solidified that. I asked if they were confined by staying within the framework of the original. Bill admits a little but in a good way. The show AND the choreography is what it is. The only thing that really deviated from the original was the polka contest because Lee Roy didn’t like the original choreography for that section. Bill would grab the last half hour from every rehearsal to run this. Around five PM, Lee Roy would say, “What else should we do?” In half an hour, you can only get four or eight counts down. That was how that number was constructed. Other than that, they did not want this show to be a museum piece. However, they DID desire to be faithful to the original and give Carol what she needed. came in to audition who was very tall, Holly Cruishank. Absolutely gorgeous and a great dancer. She didn’t fit in. They ended up losing one of the other female dancers. Lee Roy suggested bringing her back in. Bill said he really loved her but with the girls they had, she was much taller. Lee Roy said, “Well, if we can’t hide her, we’ll decorate her.” That’s exactly what they did. They featured Holly. She was the showgirl in Parade. She was the tallest girl in Sunday Clothes with Donald Ives. There were places for her. They just had to find them. The biggest change that Bill has seen since starting in this business, at the risk of sounding old, is that things seem to happen so much faster now with social media. When he first started, you went to an open call in a theater. You were taught a combination and you sang to people in the dark. You don’t do that anymore. You do it in a small room with florescent lighting. It also seemed to be a smaller community where everyone knew each other. At that time, also, you didn’t have the study programs like Carnegie-Mellon, Boston University, and other conservatories like you have now. Everyone who came to New York in the past was pretty much on the same level. Now they are very well trained in all areas, true triple threats. The problem is they all expect to be stars. Everyone is not going to be. A lot of people have BFAs in musical theater. “If you are short and three hundred pounds, you are not going to be the next Gwen Verdon.” There is an attitude when they receive notes. Bill says he sometimes experiences an attitude when trying to give some of these kids notes. When Bill started, you fought to dance like everyone else to be in the chorus. That was what it was about! You wanted to be in the chorus, to dance like everybody else. You wanted to pick up those styles. Now, nobody wants to dance like anybody else. Shows like “So You Think You Can Dance” and “American Idol” are breeding kids wanting to be the star and not necessarily the support. The dynamic has changed and it made me tougher in terms of constructing a show. not seen that many productions of Dolly beyond those cited above. He did choreograph one community production of Dolly with local people. That missed the mark for him. After working Carol, he feels they all might miss the mark deep down inside for him. He doesn’t need to see other productions or do other productions. It’s just one of those areas where you say, “I’ve done that show.” Anything else would be a disappointment. Closing night was a happy/sad occasion. Happy to have done it. Sad that it couldn’t have run longer. The show did go on for a final leg of its tour. Bill did not continue on. He was hoping that it would lead to something else for Carol. It did not. Because of the way her career went, Bill does not feel that the world knows how great an actress she is. There is still talent to be mined there. He would have loved to have seen her do The Royal Family and Mame. He would loved to see her do a lot of things. When Lorelei came along, it really emphasized that persona all over again. 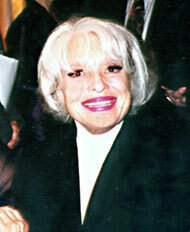 When Carol is off stage, she is still Carol Channing. She is, however, a very smart woman. She can discuss politics with you, show business, and current events. She has had a great life and continues to have a great life. However, Bill can’t stop thinking there were infinite possibilities that were missed. People didn’t bother to see through the public persona. She did an awful lot. When she did Lorelei in ’74, nobody expected that to be a hit. Charles scheduled engagements several months after their proposed Broadway opening. He didn’t think it would run. So it closed prematurely. That’s why it went on the road again. Charles promised Lee Guber and Shelly Gross, the producers, that if they would allow this to happen, they would be able to take it out on the road. It would have run longer on Broadway because it was Carol and it was pleasing to the audience. 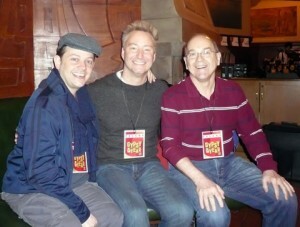 A huge thank you to Bill Bateman, Randy Slovacek, and Tom Miller from Actor’s Equity for the pics in this chapter.